When news of Fidel Castro’s death reached the shores of the United States, a long-denied and impromptu celebration erupted spontaneously in the early morning hours. Many Cuban-Americans took to the streets of Miami’s Little Havana neighborhood to bang on pots and pans, sing the Cuban national anthem, and rejoice over the death of a much-hated dictator. Castro represented all that was evil to the legions of Cubans who fled their homeland after he led the country’s 1959 Communist Revolution. His iron-fisted grip on the tiny island nation endured until his death on Friday night. He was 90. But not everyone rejoiced at the word of Castro’s death. For many black Americans in particular, news of Castro’s passing represented a moment of forlorn melancholy—a feeling akin to the demise of a favorably regarded, albeit personally unknown, celebrity. The varying reactions to Castro’s death are a somber reminder that oppression and opportunity, often coded by ethnicity and race, are not always clear-cut diametric opposites. 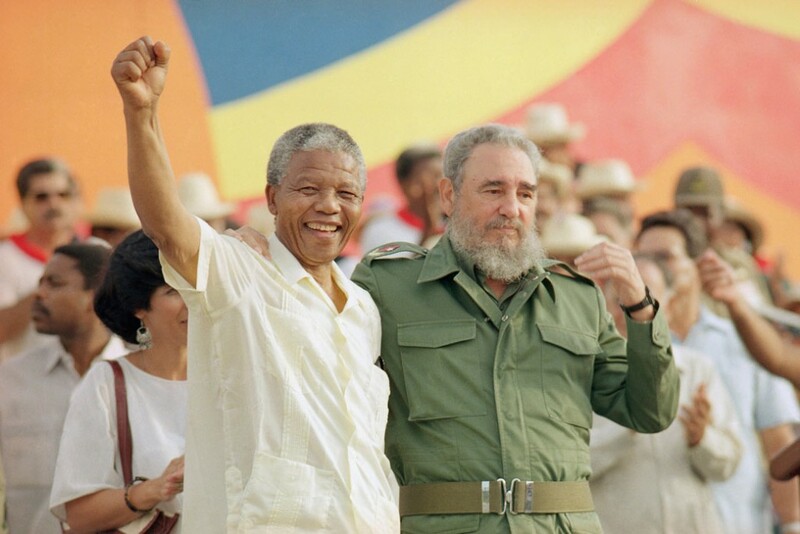 For many black Americans, Castro was a solitary and defiant voice in the Western Hemisphere against the racism, elitism, and hypocrisy that seemed a part of the price for democracy and development in the late 20th century. Indeed, Castro endeared himself to knowing black Americans who saw him stay at the black-owned Hotel Theresa in Harlem during a visit New York City in 1960. What’s more, Castro granted an audience to Malcom X, further increasing the adulation of him among the most-progressive black Americans. The white exodus from Castro’s Cuba persuaded many black Americans that a liberating wind was blowing in the hemisphere and in the shadow of the United States. “How could a country of all these ‘brown’ and ‘black’ people insist that they should determine their own destinies?”, Fletcher wrote. Fletcher had the opportunity to meet Castro nearly a decade ago and was shocked to hear him say that even under his revolution and nearly singlehanded hold on power, he could not eliminate racism from his country. “The entrenched power of racism, even in a society that was attempting to root it out, was more substantial than [Castro’s revolutionaries] had anticipated,” Fletcher wrote. During a phone interview, Fletcher told me that meeting demonstrated Castro’s sincerity of purpose, even in the acknowledgement that Castro had failed to end the vestiges of racism that plagued Western societies. So while many Cuban-Americans dance and celebrate Castro’s demise, some black Americans are quietly mourning the death of an ally and hero in their shared struggle for racial equality.